The Seattle Seahawks announced enhancements to the fan experience on gamedays at CenturyLink Field. Specialty Hot Dogs – new specialties include a Kimchi Dog, Southwestern Dog and Vegan Dog. The Kimchi is locally-source from Firefly Kimchi in Ballard. The Vegan Dog is Gluten Free and made from fava protein. The new specialty hot dogs will be served at all Seattle Dogs locations in sections 109, 124, 135, 149, 313, 324 and 331. Pork Belly Sammie – featuring locally-sourced pork belly and inspired by a Northwest favorite, the Bahn Mi. Served at Pioneer Square locations in sections 105 and 323. Fiesta Bowl – Mexican rice, black beans, pulled chicken tinga, pico de gallo, cilantro slaw and chipotle cream make this a fun Gluten Free twist on the traditional burrito. Located at the La Cantina stand in section 339. A pork option is also sold in section 113. Thai Curry Simple, a stadium neighbor in the Chinatown/International District, is partnering with FGH to serve several delicious Thai-inspired dishes including Thai Basil Chicken and Phad Thai. Located in sections 105, 323 and Night Market. Manu’s Tacos is a returning Pioneer Square favorite. Featuring house-made chicken tinga nachos, al pastor nachos with pineapple and black bean nachos. Located in section 303 and Night Market. Uli’s Sausages, including Uli’s Famous Smoked Jalapeno Cheddar Sausage is locally made in Seattle with all-natural pork, topped with locally-sourced onions and splashed with Seattle Mustard Company’s deli mustard. This and other great options are located in sections 103, 138, 303, 340. Pizza Hut is the new exclusive pizza partner of the Seahawks. Pizza Hut will be added to the stadium food offerings during the NFL regular season. New this year during pregame, Touchdown City will feature $5 domestic beer, $6 premium beer, $3 hot dogs, nachos, soda and water. In the CenturyLink Field North Plaza, fans are invited pregame to enjoy a live DJ, $5 domestic beer, $6 premium beer, $3 hot dogs, nachos and water, along with lawn games and various activities. Fans looking for a special value during the game can try the “12s Combo,” which includes two hot dogs, two waters and a bag of popcorn for $12. The “12s Combo” is available at any Seattle Dog location. Safety and security continue to be a top priority for the stadium. Earlier in 2018, CenturyLink Field received Safety Act Designation and Certification from the U.S. Department of Homeland Security. The Seahawks are now the first NFL team to offer CLEAR to speed fans through stadium security and to enable frictionless concessions purchases with the tap of a finger. Get into the game with CLEAR at the Northwest and Southwest gates and use CLEAR to buy food and drinks with just your fingerprints – no ID or credit card required – in the Club Level at Sodo Cucina in sections 210 and 236. Enrollment for CLEAR Sports is free and can be used immediately. Fans can register on-site at the stadium, or in advance at www.clearme.com/seahawks. Fans who already have CLEAR will be able to use it at CenturyLink for access and concessions. CLEAR security lanes open two hours before kickoff. Fans are encouraged to download the Seahawks Mobile App for an enhanced gameday experience. Season ticket and single game ticket holders will notice new and improved in-app mobile ticketing, including the ability to view, transfer or sell tickets directly via the “Manage Mobile Tickets” option in the app. Season Ticket Holders will receive an in-app mobile discount card to receive 15% off Seahawks merchandise at the Seahawks Pro Shop. The app also allows fans quick access to a variety of stats, extensive gameday information and the “Eye of the Hawk” video feature with live and on-demand video from eight different angles. New this season, fans within 75 miles of CenturyLink Field will be able to stream the live radio broadcast from Seahawks radio flagship stations 710 ESPN and 97.3 KIRO FM directly in the app. All four preseason TV games will be available to fans in-market via seahawks.com and the Seahawks Mobile App. 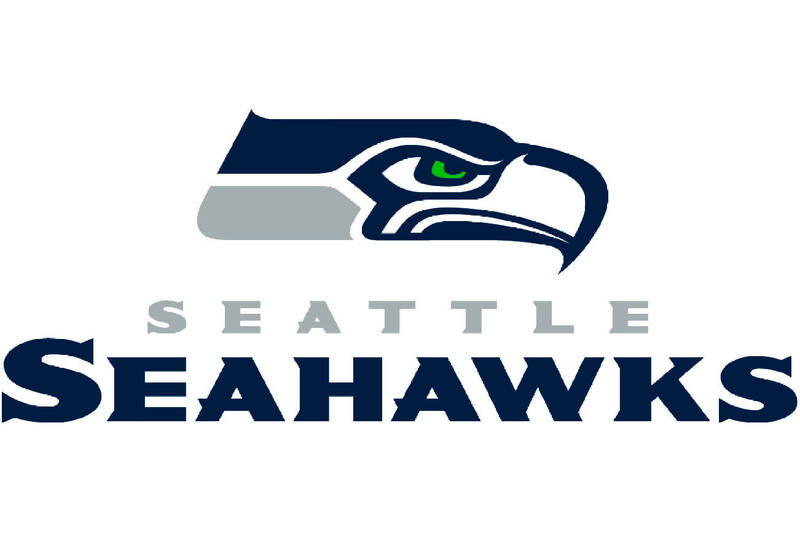 Lyft – the preferred Seahawks Ride Share Partner will offer exclusive specials to Seahawks fans on gameday via Beacon technology push notifications. Visit seahawks.com/gameday for more on transportation options and pick-up/drop-off locations. Freemiums – keep an eye on the game for various freemiums for ticket holders and fans. New this season, northwest favorite Taco Time will provide all fans with a free crisp taco via the Taco Time Northwest App the Tuesday following any game with a rushing touchdown. Great Clips will offer a free haircut when the Seahawks have three takeaways. Jack in the Box will offer a free Jumbo Jack when the Seahawks achieve a sack. McDonald’s will offer meal deals via the McDonald’s App following each game when the Seahawks are in the redzone. And when the Seahawks execute a big play, IHOP will offer a free short stack of three buttermilk pancakes. American Express – for each designated Seahawks on-field play, card members will receive varied offers for Seahawks online merchandise via Twitter. Fans in the Club Level or Field Seats will also receive 10% off when they use their American Express card for in-seat ordering via the Seahawks Mobile App. Gates open two hours prior to kickoff for Charter and General Ticket Holders and three hours prior for Club and Suite Ticket Holders. The NFL’s clear bag policy is in effect for all Seahawks home games. Fans are encouraged to visit www.seahawks.com/gameday for more information on gameday FAQ.